With the huge variety of action figure brands and licenses currently filling out toy aisles, many new collectors are at a loss regarding the companies actually producing the figures found on store pegs. Other long-time collectors have intense manufacturer loyalties, going so far as to only collect figures from certain companies. For both these groups, it can help to take a look at the biggest names in action figure manufacturing. The following six companies may not necessarily be the biggest or most well-known, but each of them stands out in the industry for specific reasons. These are the six companies with which every collector should be familiar, and from which every collector should consider buying action figures. It's time to put your unfamiliarity or loyalties aside and take a look at the best the action figure industry has to offer. Action figures simply wouldn't exist as they do today if not for Hasbro's influence on the creation of G.I. Joe in the 1960s. Their influence in the industry only grew in the '80s with the re-envisioned G.I. Joe line and the introduction of Transformers. On top of the lasting value of its own brands G.I. Joe and Transformers, Hasbro is possibly most recognized for its licensed brands, including Stars Wars and Marvel Comics. Because of these four brands, Hasbro's action figures make up a huge portion of any modern action figure aisle, and this is all on top of their already dominant toy and board game presence. Mattel may be best-known for its doll phenomenon Barbie, but their presence in the action figure world has been a growing one. Mattel was primarily known among boys as the manufacturer of Hot Wheels until they stepped onto the action figure scene in a big way in the early 1980s with He-Man and the Masters of the Universe. He-Man was one of the single most popular figures of that era, and the line thrived for a number of years. After He-Man's fall into obscurity, Mattel's influence in the collector action figure world was rather small until recently, with the revamped Masters of the Universe Classics line and the acquisition of the DC Comics, WWE Wrestling, and Ghostbusters licenses. Mattel is once again a major player in the collector action figure industry, taking up their own fair share of toy aisles. Bandai may be the biggest toy company of which you've never heard. Behind Mattel and Hasbro, Bandai is the world's third-largest toy manufacturer and has a large presence in the action figure industry as well. The primary difference is that Bandai is a Japanese company, whose influence in the United States is enacted through Bandai America. Bandai's single biggest action figure line in the United States is the Power Rangers and its various incarnations. Many of the figures that most collectors ignore as they move through toy aisles are the cartoon and TV show based properties that Bandai thrives on. Despite many brands not taking off with collectors, Bandai's authority has grown recently thanks to the newly acquired ThunderCats license and its star Lion-O. Todd McFarlane's popularity in the world of comics in the late 1980s and early '90s helped him launch two major companies, one of which was McFarlane Toys. McFarlane Toys made an impact on the action figure industry which is still being felt in many ways. They were the first to truly make action figures look good. Sculpt and paint techniques were taken to new heights, and that changed the direction action figures took. They finally started to become serious and grown-up. The one major criticism of McFarlane Toys' products is that they lacked the standard articulation that kids had become used to. That problem has been remedied with McFarlane's newest products, as can be seen with the widely-popular Halo line based on the hit video game. McFarlane Toys is not as prominent a company as it once was, though its impact is still felt across toy aisles. Figures produced by NECA (National Entertainment Collectibles Association) may not be featured heavily in the average big box store's toy section, but their strictly collector-directed figures feature heavily at toy stores and comic shops, as well as online. Despite NECA being a relative newcomer on the action figure scene, it has become a major player thanks to its video game and movie licensed figures. The importance of NECA to the industry as a whole can't be underestimated, as its products bring non-collectors into the action figure world. Video game or movie fans who have never purchased an action figure before are suddenly supporting the industry thanks to the fantastic quality and likenesses NECA's figures offer. Hong Kong-based manufacturer Hot Toys makes this list for one very simple reason. They make the absolute best action figures in the world. Although extremely expensive and on a scale (1/6) many collectors don't collect, the figures Hot Toys produces are the best looking and highest quality on the market. A vast majority of their figures are based on movie properties, and result in eerily life-like representations of the major characters, down to the real cloth costumes they are wearing. 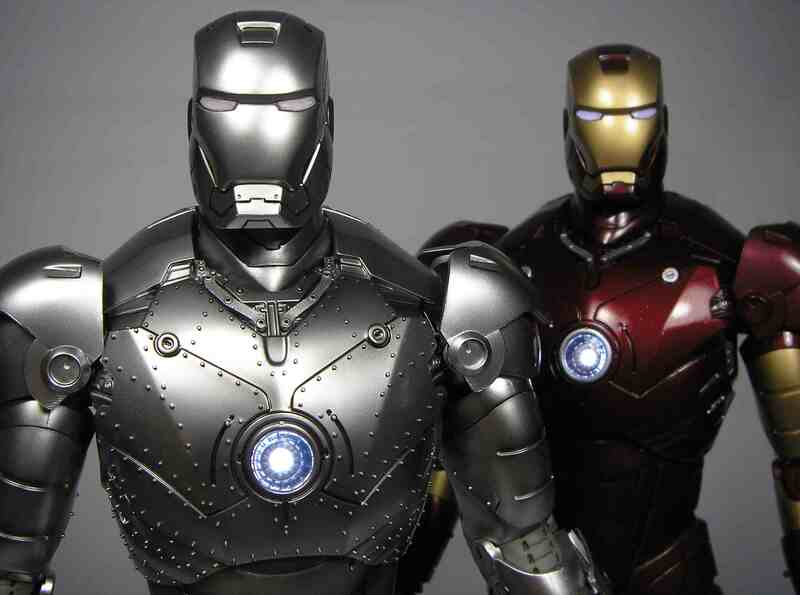 If you have a lot of money to spend and want the very best, look no farther than Hot Toys.